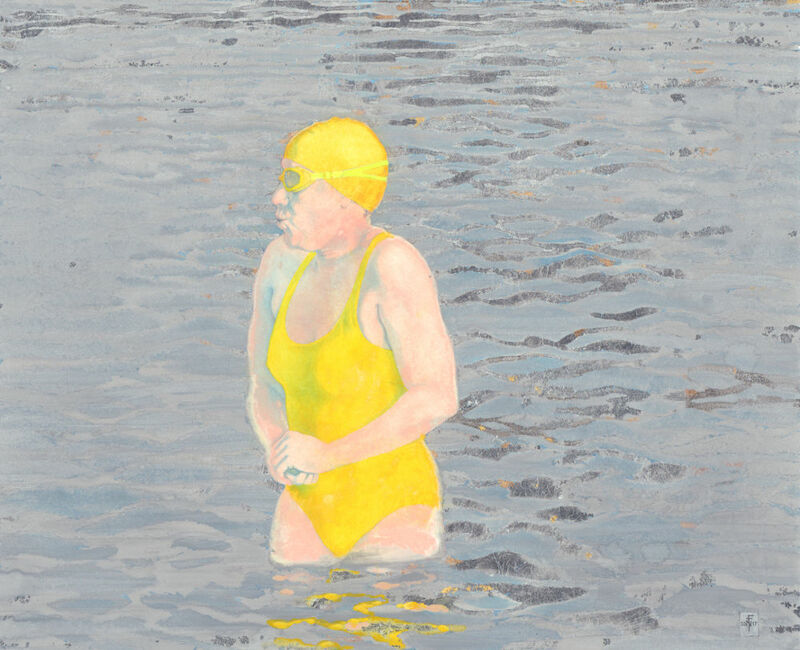 The lake was 4 degrees the other day, cold enough to make the nerves in hands and wrists fizz and ping. 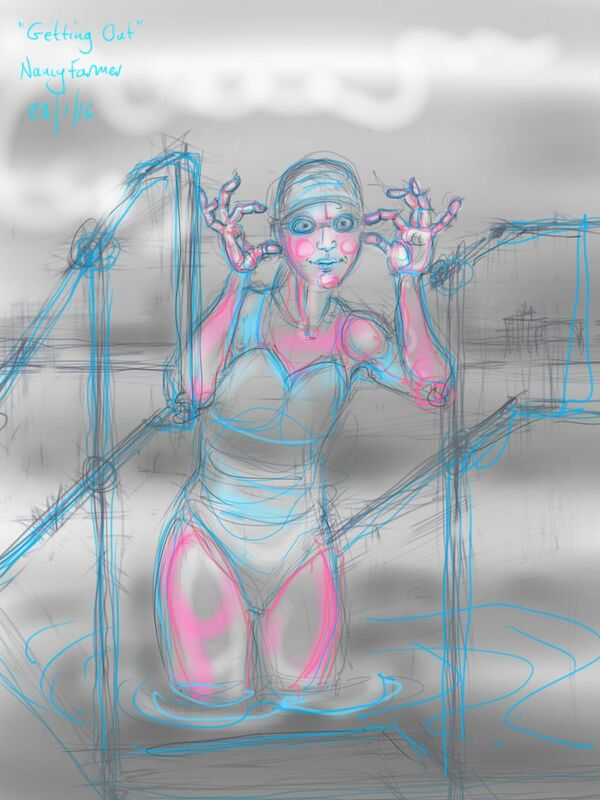 After 10 minutes getting out was welcome, removing goggles a little more complex, with hands that seemed to have forgotten the exact location of individual fingers. 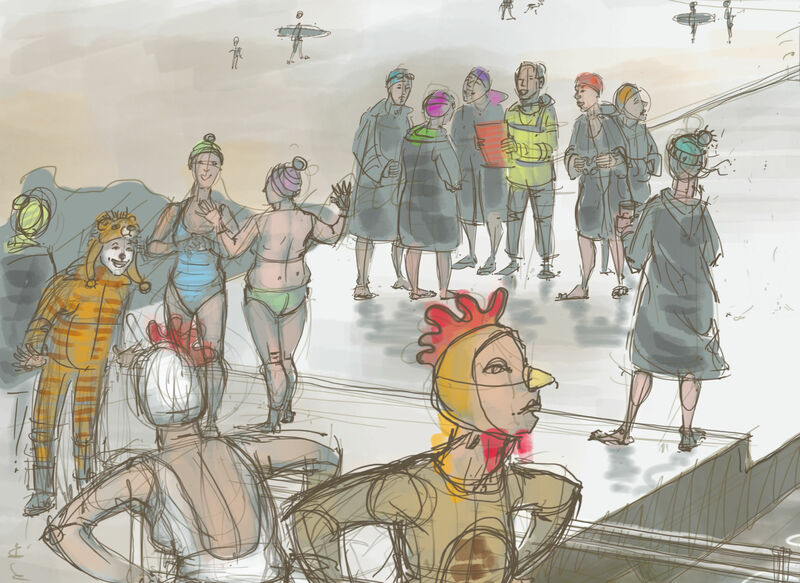 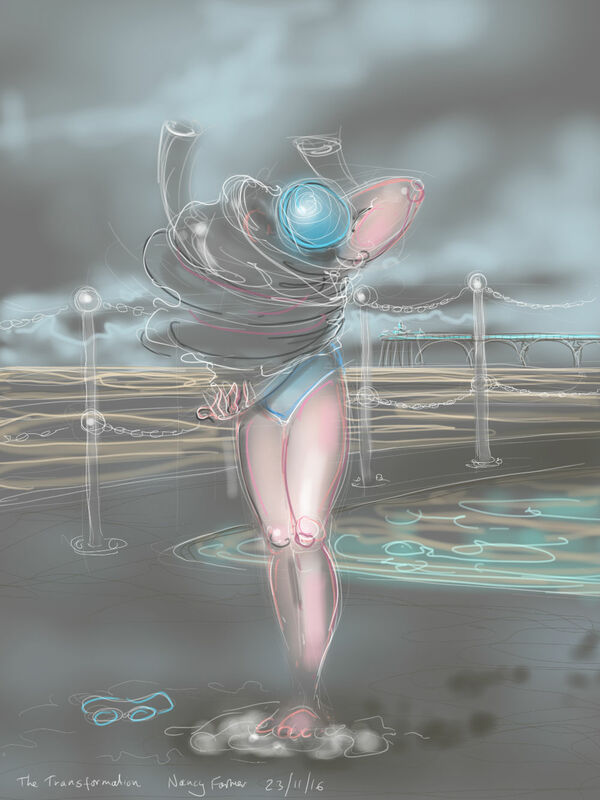 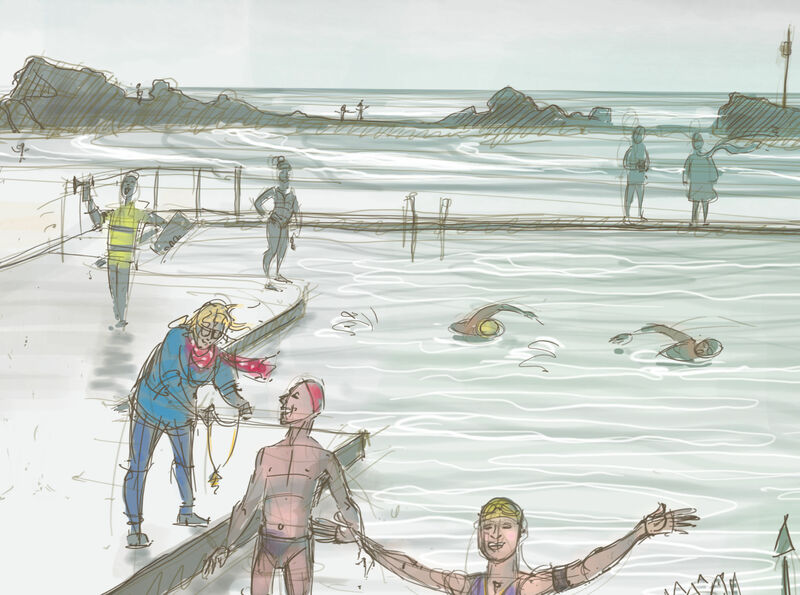 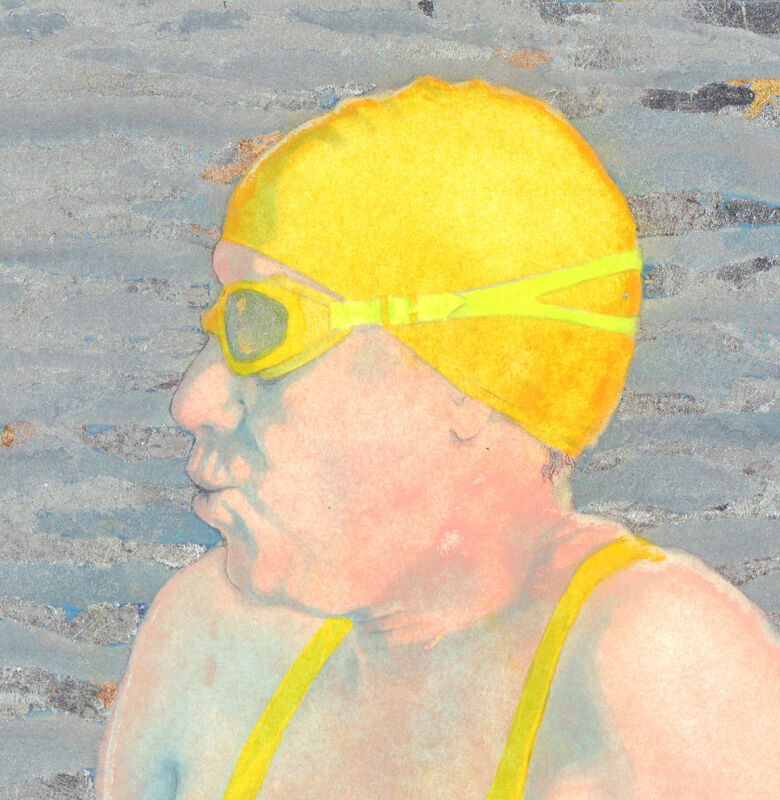 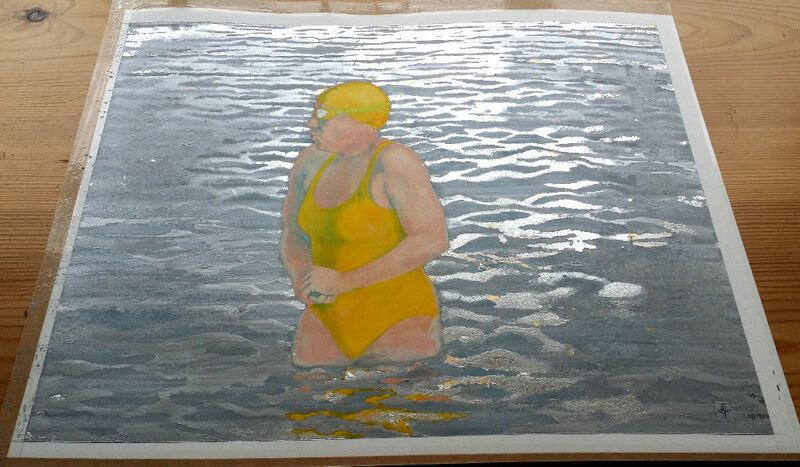 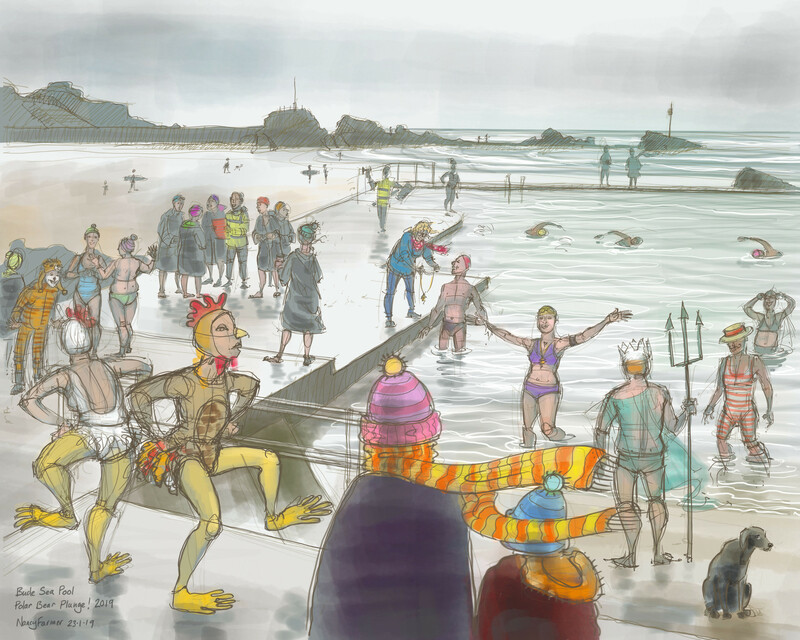 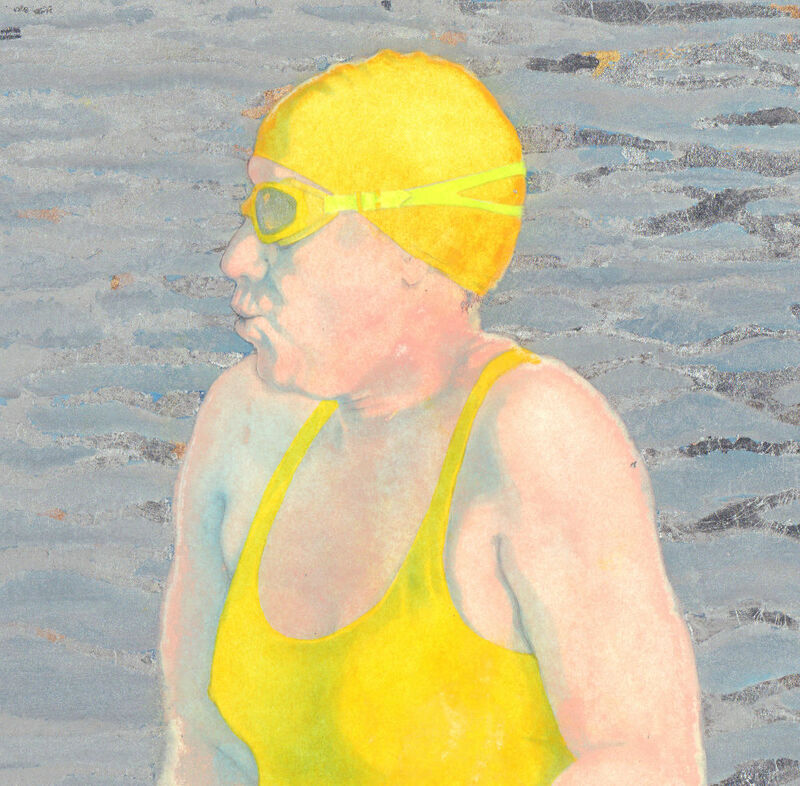 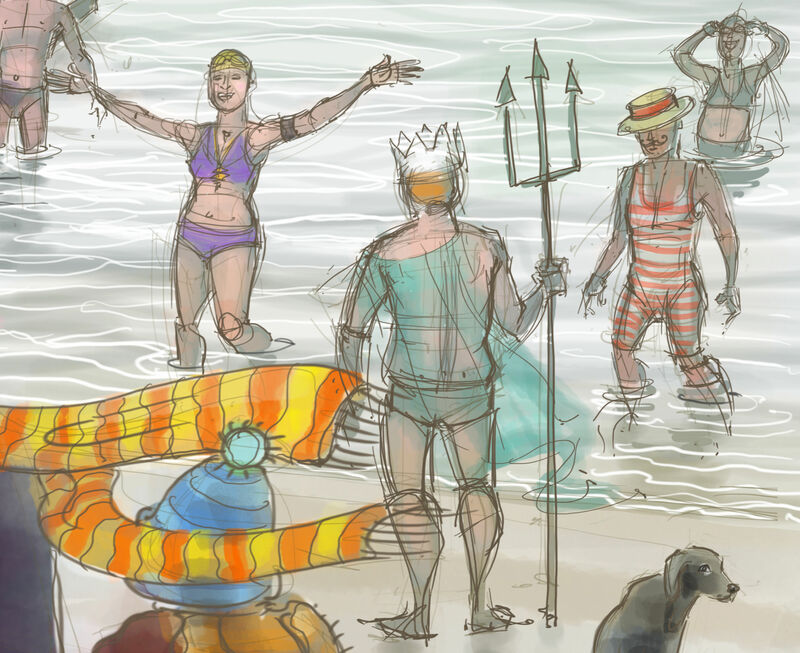 This entry was posted in swimming and tagged art, Clevedon Marine Lake, cold water swimming, drawing, ice swimming, illustration, open water swimming, swimming on January 28, 2016 by Nancy Farmer.